The Michigan Agriculture Environmental Assurance Program (MAEAP) Technician will be offering free well water screening for Eaton and Ingham county residents on private drinking water wells during tree sale pick-up on Friday, April 19th. The screening will be for nitrates/nitrites only. The Sample Information Sheet must be included with your water sample. The sample information sheet, along with sample collection instructions, can be found below. Please call Allie at the office at (517) 543-1512 x5 if you have any questions. 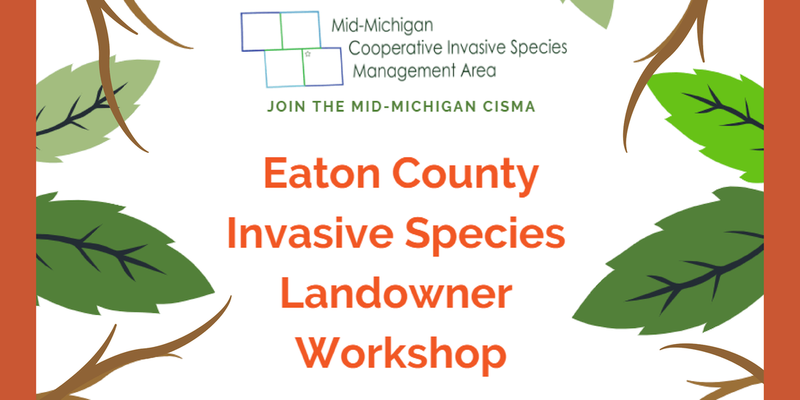 Join the Mid-Michigan Cooperative Invasive Species Management Area at an invasive species workshop for Eaton County citizens! ​The free workshop will be held at the Eaton Township Hall in Charlotte, MI on Thursday, May 30th, from 6:00-8:00 pm. Coffee and light refreshments will be available. In this workshop, you will learn about some common invasive species in the area, what you can do to help manage them, and how to prevent them from invading your property and public lands. You'll also learn of upcoming conservation and invasive species stewardship events hosted by CISMA partners within Eaton County. 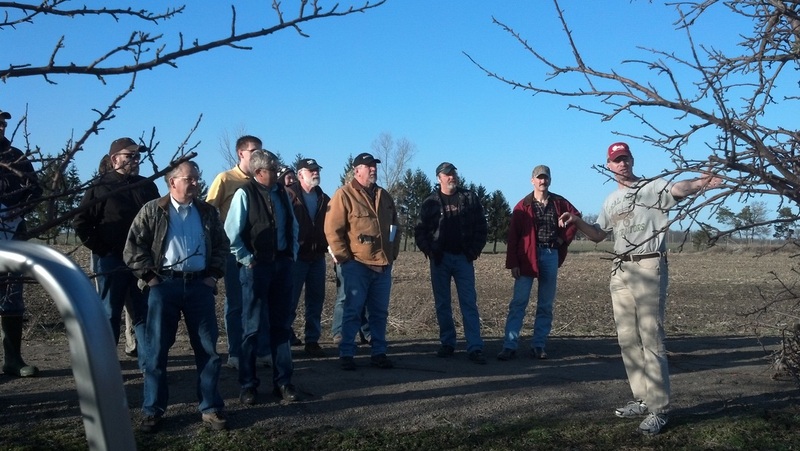 The Mid-Michigan CISMA will be hosting a landowner workshop in each of its counties- Clinton, Eaton, Ingham, and Ionia. Please view our Eventbrite events page to view and register for a workshop in your county. If you have questions, please contact Erin Pavloski, Regional Invasive Species Coordinator of the Mid-Michigan CISMA, via email at erin.jarvie@macd.org. Do you KNOW your H2O? If you don't (or even if you do! ), please join us for our annual meeting! We will have a night full of learning, laughter and a fantastic dinner. There will be district awards, silent auction and much more! 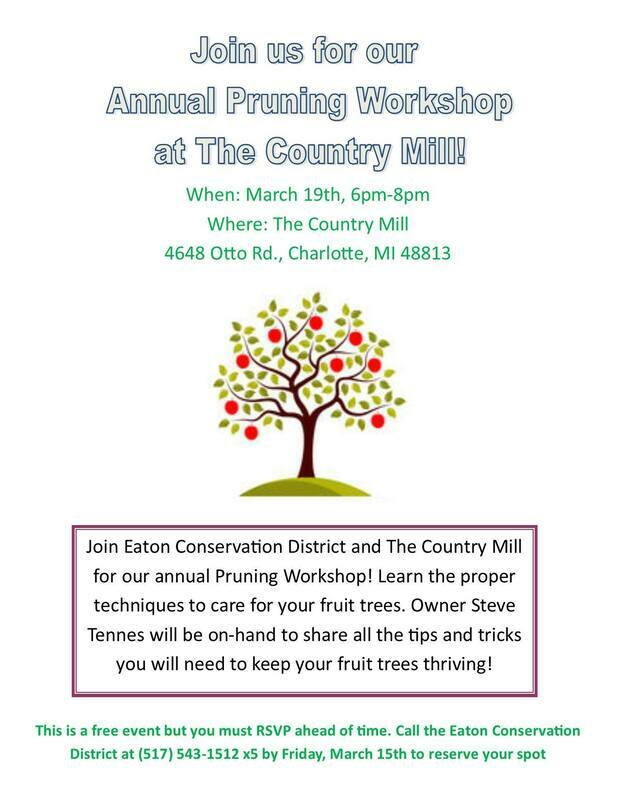 We hear there may even be a little bit of trivia involved, brought to you by Environmental Sustainability Planner Cliff Wells of Tri-County Regional Planning Commission. Can't make it to annual meeting? We have absentee ballots in our office. Call us for the information on absentee voting! Meet the Prospective Board Members! Hello, I am Debra Montgomery, a 30-year resident of Carmel Township in Eaton County. I'm a retired School Social Worker and a graduate of Michigan State University Master of Social Work program. I work part time for Vern Stephens owner of Designs by Nature and operate a native plant nursery out of my home. I have a strong interest in learning about natural communities, ecology and wildlife preservation. I have received a certificate of completion in permaculture from Cornell Extended learning Program and the Finger Lake Permaculture Institute. I have completed the Master Gardener and the Master Naturalist program through the MSU extension. To increase my knowledge of lakes, streams and watershed functions I have completed the Michigan Lakes and Streams Leadership Institute and am a Michigan Certified Natural Shoreline professional. I completed the Conservation Steward program which emphasizes knowledge of Michigan Natural Features Inventory: including prairies, woodlands, and water ways. These varied classes provided me exceptional exposure to the varied conservatories, parks, and native areas of this state and an understanding of the work needed to restore and protect these unique communities. I regularly attend conservation/wildlife conferences, workshops, and trainings. The topics include invasive species identification and removal, creating gardens with native plants to promote pollinator and wildlife value, and community organization. I am a member of the Red Cedar Wild Ones, Wildflower Association of Michigan, Michigan Nut Growers Association, and Michigan Nature Association. I readily volunteer my time to promote conservation projects. Recent volunteer activities include the planting of native gardens: at the Eaton Conservation District office, Calvin College Eco-preserve, Eaton Rapids, and a shoreline restoration in the Village of Sparta. 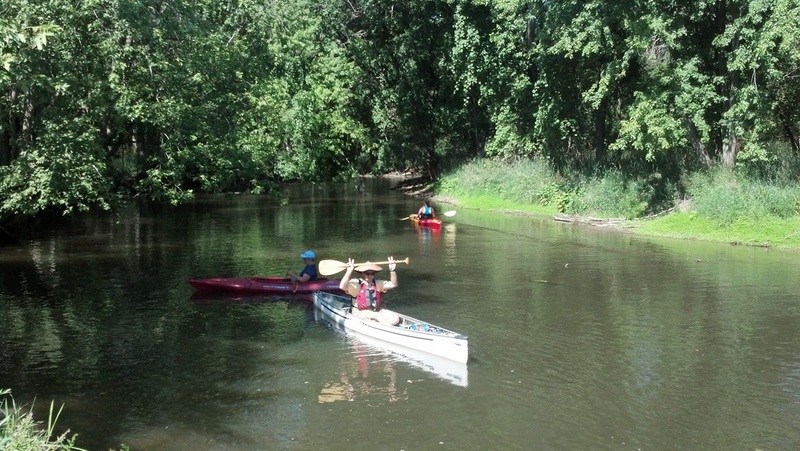 I have partnered with Trout Unlimited, the Plaster Creek Stewarts and Michigan Audubon. I have participated in several native plant sales, partnering with various conservation districts and other native plant organizations. I am a trustee for Carmel Township and a board member/secretary for the Charlotte Area Recreation Coop. I would like to use my passion and knowledge of the natural communities to promote the restoration and protection of Eaton Counties natural resources. 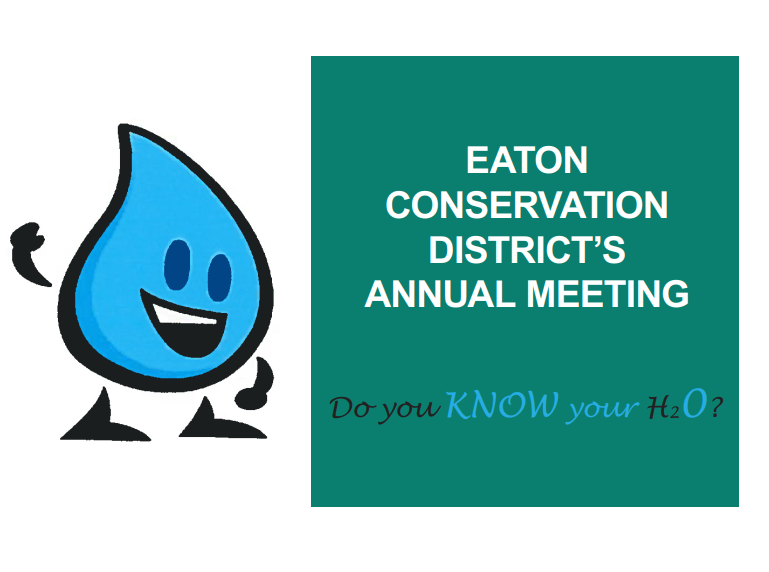 If elected, I will be an active, well-informed, and enthused member of the Eaton Conservation District board, assisting their efforts to support area residents in creating, caring and connecting to their native space. Tim Sabourin is a recently retired supply chain manager from two fortune fifty companies. Mr. Sabourin has duel bachelor degrees in Geography and Environmental Science from Grand Rapids Aquinas College. Tim currently serves as a member of the Windsor Township Planning Commission. He shares his passion for reading by delivering books to the homebound. Tim's other interests include hunting, fishing, golf, geology, antiquing, and creating wildlife habitat on his Windsor Township homestead. Tim's current objectives are looking for opportunities to preserve our natural environment while learning from and educating others. Holly Schaeffer was born and raised on the shoreline of CT, where her dad taught her appreciation for the outdoors and raising food, and mom taught the value of food preservation. Her interest in plants followed her journey to college. She attended the University of Maine-Orono, where she earned her B. S. in Biochemistry and did research on potato anaerobic stress. She then continued researching plant environmental stress physiology at Michigan State University, where she earned her Ph. D. in Plant Molecular Genetics. After brief postdoctoral experiences in AZ and OK, she returned to MI doing pesticide residue analysis on apples, and earned her secondary science teacher certification. Holly has taught at the secondary and post-secondary level for the last 20 years in the mid-Michigan area and has worked with several state and university groups developing science curriculum based on the science standards including the Next Generation Science Standards that serve as the new MI science curriculum. She currently teaches Environmental Biology at Lansing Community College. While Holly's professional efforts have focused on science education, she also has a strong drive for serving her community, including time as a firefighter, Emergency Medical Technician (EMT), American Red Cross local and national disaster volunteer and instructor, American Red Cross and American Heart Association first aid and CPR instructor, Science Olympiad and Science Adventure Camp volunteer, and participates in a number of organizations, giving presentations at annual conferences. She has also served as the chair of Promotion and Education with the Eaton County Farm Bureau for the past ten years with projects ranging from elementary poster contests to the petting barn at the Eaton county 4H fair. Holly lives with her husband, Ken Poff northwest of Charlotte, on 115-acre MAEAP-verified Frog Heaven Farms, where they raise honeybees and greenhouse crops in addition to a corn-bean rotation of field crops. Last year, the produce and honey were sold at the Vermontville farmer's market, which Holly coordinated. We are excited to announce that Eaton Conservation District has received a grant from Walmart Giving! Michigan Arbor Day Alliance, a program of Eaton Conservation District, is partnering up with the Heroes to Hives program to donate trees to our veterans. Heroes to Hives is a program at Michigan State University designed to help veterans by teaching them beekeeping skills. The program uses beekeeping to address the financial and personal wellness of veterans through professional training and community development. Veterans work in teams to manage hives, so they leave the program with personal and professional relationships that open opportunities and ensure long-term support along with the skills to successfully manage a small beekeeping operation. Heroes to Hives graduates will have opportunities for small business ownership, employment in commercial beekeeping operations, and ways to diversify their farm incomes. The partnership between veterans and honey bees represents a new mission for our nation’s heroes as they learn to manage our smallest and most important livestock. Trees are great food and nesting sources for bees. The fruit trees will provide veterans enrolled in the Heroes to Hives program with a fresh food source while also sustaining the needs of their future bee farms. ​The trees will be planted on veteran’s land/bee farms this spring! Have you had your water tested recently? MAEAP Technicians Allison Kerr (Eaton and Ingham counties) and Victoria Frailey (Ionia and Barry counties) will be screening well water samples for FREE for private well owners residing in Eaton, Ingham, Ionia and Barry counties.The screening will provide testing for nitrates and nitrites only. Testing will take place Saturday, March 2nd at the 2019 Quiet Water Symposium. 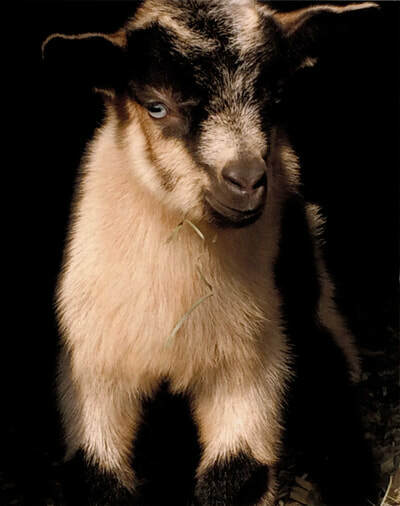 The event is being held at the MSU Livestock Pavilion, located at 4301 Farm Lane in Lansing. Please bring samples to the MAEAP booth between the hours of 10am and 3pm. Please review the documents below. The first document includes instructions on how to collect your water sample, and the second is the required sample information sheet that must be brought in with your sample. If you have any questions, please don't hesitate to contact Allie at (517) 543-1512 x5 or Tori ​at (616) 527-2098. The Mid-Michigan Cooperative Invasive Species Management Area (CISMA) will host two Municipal Invasive Species Training's in 2019. This registration page will RSVP you for the training event on Monday, February 25, 2019 from 10:00 am-2:30 pm at AgroLiquid in St. Johns, MI. The other location is East Lansing on Monday, March 4, 2019, and has its own registration page. The agendas will be the same, so please pick only one date/location to attend. These training's are FREE and help local municipalities learn more about invasive species in Mid-Michigan, how these species can negatively affect their citizens, neighborhoods, parks, and infrastructure, and what proactive steps can be taken to reduce the spread of invasive species. Municipal Invasive Species Trainings are great for all facets of local communities- public works, utilities, road and drain commissions, forestry, city planning, parks and recreation, garden clubs, lake associations, and more. These trainings will also offer MDARD recertification credits for certified pesticide applicators. Are you passionate about conservation and protecting our natural resources? Are you interested in educating others in the community and making a difference at the same time? If you answered yes to either of these questions, serving on our board of directors might be perfect for you! The District is looking for a community member to serve on our board of directors. Board meetings are typically held on the last Tuesday of each month and are open for public comments. Elections for this position will be held at the annual meeting on January 31, 2019. If interested, a signed petition must be on file at the District office by December 3, 2018. Please see the documents on the "About Us" tap for more information. For questions or concerns or to get a copy of the petition, please contact the office at 517-543-1512 x5. It's that time of year again! Send us your photos with a natural resource theme and follow the guidelines found HERE. Deadline for contest entries is November 19th. We can't wait to see all your great photos!